The Magazine is almost unreadable at this point. I can’t navigate through the magazines since the last update. Swiping just bounces back to the previous page and only some links work. Given that the only purpose of this app is to read through magazines this app is currently useless. This App is so bad I will probably end subscription before having a year. It’s a bit sad because I love the content but don’t want a bunch of magazines laying around. Every month when I try to access my subscription, the app does not recognize my username/password. I send e-mail asking for help, then we start the dance: Delete the app and reinstall, nope I have to send a ticket to reset your account, loose a couple more days Receive e-mail to reset my account! It works!, only after a week of e-mailing. Next month, start all over again (last 4 months) I’ve asked to cancel my subscription Run, don’t walk away from this crappy app. Got the latest update on March 8. Swiping is still broken for the March 2018 issue (it’s working for the February issue). I’m on the latest iOS on iPhone X. Can not pass the pages, you have to go back to the cover and tap on a highlight to go to the page and then you are stuck there. When scrolling past an ad page the app forces open a browser that takes you to the product page. Infuriating and disruptive. Good luck canceling your subscription. Unfortunately this app can only be described as a sin against the excellent content and writing in the magazine. Someone without the knowledge of digital media decided the paper magazine was perfect and all they needed to do was make a "digital" copy of the magazine. If I'm going to pay for a digital subscription in addition to my regualr subscription then I expect to be able to highlight a word and get a definition or hyperlink to additional content. No such luck this is nothing more then a pixel by pixel recreation of the magazine. A complete waste of time unless you just dont want a paper copy. My subscription is active and I am asked to buy a new issue that doesn't appear in my Library. The trick is to restore purchases. This app beats paper, but only barely. This app is about 1% of the potential of an emagazine, but even the best are only 2%. I updated to the latest version & now my subscription that runs until November 2017 is gone. The app wants to charge me to download anything even after restoring past iTunes purchases. What a complete rip off. Oh no - here we go again! The app was recently updated and they went back to the old, crappy way of presenting the magazine. The UI is confusing and inconsistent. Most of the links do not work. In addition, all of my downloaded editions were deleted with this update! That includes all of the favorites I bookmarked. Worse, the space used by the old editions was not freed up. To do that I had to delete and reinstall the app. All this with no advanced notice of all the changes. I really liked the previous, simpler version. App went from fantastic interactive to cheap page scan. At least one article was cut off in scan process. Subscription renewal is cancelled. What can I say? I can read the magazines that I paid for. Thanks! 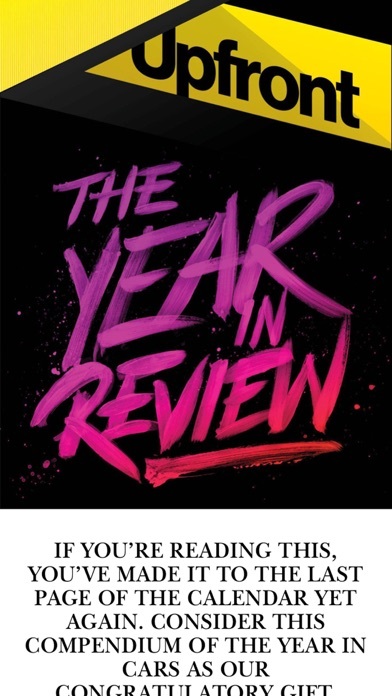 This magazine used to release each issue in a great format optimized for tablets. Unfortunately, in early 2016 the format was switched to what is essentially a simple PDF - none of the interactive graphics or articles advertised are left. The new issues since do not automatically scale or adapt properly for an iPad at all. At this rate I wouldn't recommend a digital subscription as many articles are basically illegible. Unless they change back to the original format soon, I'll be canceling my subscription soon as well. I enjoy the app, just not on an iPhone. The digital mag was so good when it was an interactive version, but now....nothing but a scan of the magazine. What a letdown. I can understand the need to get more ads in front of us, but to take away the interactive features is a significant mistake, and eventually a costly one...to you. To echo what others are saying - why pay extra for so little benefit? I have nearly forty years with this magazine and now I'm worried that won't be around a year from now. This level of cheapness is not a good sign. An easy to use innovative approach to reading a magazine on an iPad has been replaced by what is a glorified PDF reader. Text size adjustments are now impossible unless you zoom in and scroll constantly. It's pretty much useless. If you haven't converted from print editions, don't until this app is reworked. It becomes an unenjoyable and frustrating experience. What I find incredulous is the previous version was such a delight once you got the hang of it. I love Car and Driver. The magazines are very well written. A portrait mode for the app would be awesome. If it had it I'd give it a 5. Update: Ahh, for some reason I love portrait. Five. 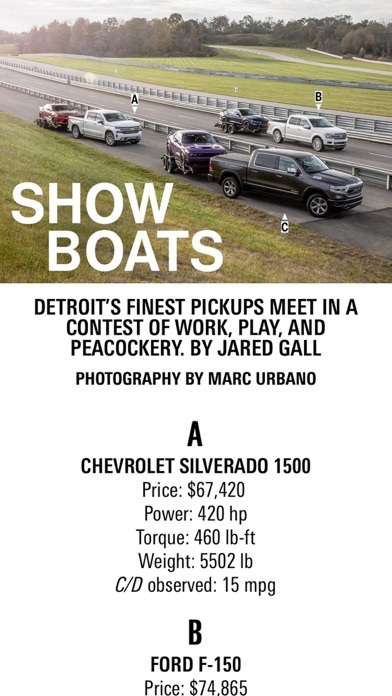 Everything I need in a car magazine. I find myself reading the entire magizine. I love everything they put out. GREAT! She is difeniately the one for me. What on Earth are they thinking by switching from a gorgeous digital edition that was interactive and made reading it so fun to a PDF copy of their print edition that doesn't even fit on the iPad screen? I can't comprehend this change. If this is not fixed, I will be cancelling my subscription like the other reviewers. The app doesn’t scroll so I can’t actually read the magazines. Lazy PDF of a once great magazine app. I tried to cancel my membership but was given the runaround and charged $22 anyway. To add insult to injury, the text is barely readable. Avoid this magazine at all costs. Same crap you have to deal with R&T. Before the February issue, the ipad version of the magazine was somewhat modified to be easier to read on the iPad. With February, they must have decided that it was too much trouble and now it's basically a PDF file of the magazine. I'll give them a while to go back to putting some effort into making it readable again, but won't renew if they don't. Went down hill fast. Used to have multimedia and that disappeared. Now it can only work in portrait mode and is now only a smaller version of the print edition. Why bother. 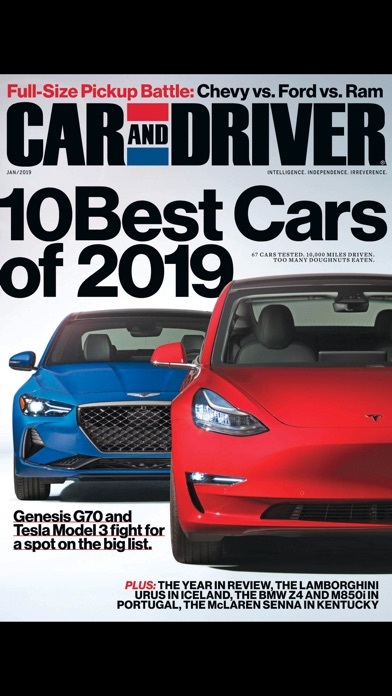 Now this is like Motor Trend-was liking the original digital version. Won't renew. Trying to renew my subscription. I got redirected to the hearst website. Can't login, contact form doesn't work. The latest update changed the interface. Now the articles scroll vertically!?! The links are too easy to hit, scrolling is buggy, and the app is sluggish with this latest update. I saw nothing wrong with the old PDF-like presentation; this is, after all, simply supposed to be a digital representation of a physical magazine. Please get rid of this overly-complicated and sluggish interface and bring back the old PDF-style magazine. The old version of this app was formatted for landscape viewing on a mobile device. It was readable without having to expand the print (reverse pinch) and move the page around on the screen. It featured slide shows, pop ups with additional info and nice transition effects. The new version is just a digital presentation of the print magazine. It's the same crappy presentation as other (low tech) magazines. How do I apply for a refund? Great magazine, excellent articles, overall a great read definitely five stars. Unfortunately this app is at the other end of the spectrum. The developers decided the magazine was so good they only needed to replicate it page for page in the iPad version. This includes no ability to select text, click on a link, get definitions or share on social media. 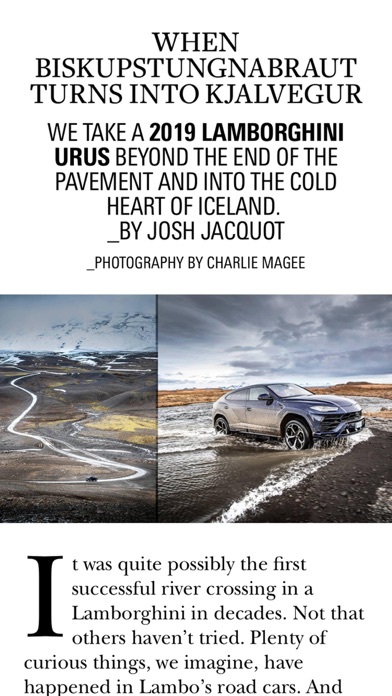 Car and Driver is a great magazine and it deserves a great app but this isn't it. Save your money and extend your subscription to the magazine, don't waste it on this pathetic development effort. This app is pretty terrible, as it seems to be just a PDF viewer (for the magazine) and a web viewer (for all other functions, such as account status, help, etc. )—and a poor one at that. I purchased a digital subscription direct from Hearst (not through the App Store), and I have so far been able to access only two of the last four issues. The app is now acting as if I have no subscription even though I do have one and have logged in. The FAQs and help resources, both in app and on the web, leave a lot to be desired and are very out of date, mentioning iOS 7 (almost 3 years old at this point) and Newsstand (which no longer exists). I'm liking the app it has a nice flow to it. I want to see what it's like after a few days of using it. Guys this is the worst. We spend money on a digital edition and every other page I'm clicking on an ad by mistake. Please over haul the entire UI - this one is just awful. New version features tiny text. Zoom in and the text is blurry. Zero effort required for them to send at a proper resolution, totally unacceptable. This app is well sorted out ,and it does not lack content. This used to be the best magazine all out there. Interactive, videos, etc and formatted perfectly for the iPad. Now, you get a PDF of the magazine. Poor format to the iPad screen. Please go back or I unsubscribe. I love the magazine, I've been a subscriber since about 1995. But the app won't let me download magazines sometimes. It'll ask me to buy one even though I'm logged in. So I have to log out every time and log in again. Not a huge deal but annoying. Also, it would be nice if when I enlarge pics to read stats if I could still flip to the next page without having to minimize the window again. Also a small issue, but annoying if I have to do that on every page. I still love the magazine and will continue to buy it. But please try to address these if possible. Love this app. It is a must have for all gear heads. Awful. Impossible to navigate in a logical manner I honestly can’t even figure out how to read one of the latest comparison test. I see the title page of the test but no matter how I try I can’t scroll to the content using any gestures that makes sense. I love the website car and driver. And with the apps I thought it would be very similar. I was wrong. The app doesn’t let you search cars like the website does. It makes you pay for every magazine. All I wanted was to look up stats of a car on an app on my phone. If I am wrong and there is a way, or if there is an app that lets you do that for free, please direct message my instagram @dylan.hupp. I’ve had issues in the past, but love the interface now. I have been using the Car and Driver app for several years now. The simple PDF-like version was cumbersome to maneuver. This one makes sense for an electronic version. I love the way that you can continuously scroll from the beginning to the end of an article. It also is great how you can leave the app and hours or days later come back to it and it remembers where you left off. There are a few minor quirks in scrolling. Sometimes I tap to scroll and it thinks I double tapped and zooms in. Another thing I struggle with is how to get the title & navigation bars to disappear so I can see the full screen. Other than that it’s perfect. And the Car and Driver content is always awesome. I rated it one star because if you rate it zero stars they don’t count it. The navigation is impossible. Sometimes you can access a list of articles but sometimes you can’t. No one knows why. It’s just random. If you touch the screen while you’re reading, it magnifies to about 10 characters on the screen. Really BIG ones. I have more random craziness but you get the idea. OK magazine but lousy app. I guess they saved money by letting the editors kids write the code.